Leading Wholesaler of composite hose with fitting and composite hose for oil loading unloading from Ahmedabad. 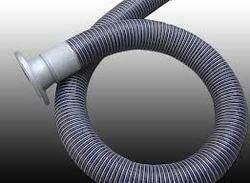 Composite Hose made from polypropylene fabrics and films with an abrasion resistant PVC coated fabric cover. Inner and outer wires are galvanised mild steel. Transoil is especially suitable for the suction and discharge transfer of petroleum products in in-plant applications. It is an excellent hose for conveying tallow and high aromatic hydrocarbons. 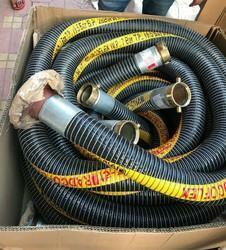 Looking for Composite Hose for oil loading & unloading ?